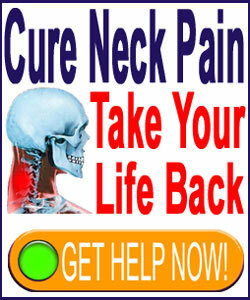 A pinched nerve in the neck is one of the most common neurological based diagnoses given to patients by both medical doctors and chiropractors alike. Pinched nerves are factual medical conditions, but the way they have been treated in the healthcare system, they are more like fantastic figments of the imagination in some cases. Compressed nerves can happen in various places within the spinal canal, as they exit the spinal canal or outside the spinal canal. They can also occur due to structural spinal causations, as well as soft tissue pathologies, which might take place quite far from their spinal origin. All these variable factors, and more, can make diagnosis of pinched nerves a very imprecise science. This essay details compressive neuropathy diagnoses in the cervical spine and also nonspinal pinched nerves caused by the surrounding musculature. There are 8 cervical nerve roots on each side of the spine, each consisting of a pair of nerve filaments called the dorsal root and the ventral root. This makes a total of 16 roots altogether, with 32 total parts in whole. This leaves lots of chances for impingement to occur within the spinal canal itself. Nerve roots can be compressed due to vertebral bone issues, such as osteophyte formation, osteochondral bar formation or arthritic debris accumulation. Nerve roots can also be compressed due to soft tissue conditions within the canal, such as a herniated disc or ligamentum flavum hypertrophy. When these structural processes occur within the central canal, spinal stenosis is the usual resulting diagnosis. When these occur within the lateral recess, lateral stenosis is the diagnostic verdict. When they occur within the neuroforaminal openings, foraminal stenosis is the proper nomenclature. Confused yet? 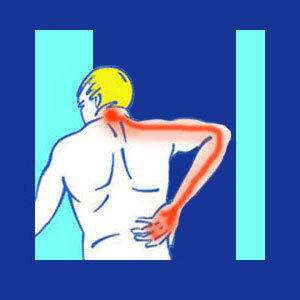 Pinched nerves in the neck can also occur after the nerve has left the spine itself. This is often diagnosed as thoracic outlet syndrome, which is the name for compressive neuropathies generated by pressure from the back muscles. While this can also affect vascular tissue, it is most commonly diagnosed as involving neurological tissues. In this case, the specific variation of TOS is called neurological thoracic outlet, as opposed to arterial or venous TOS. It is crucial to know that many apparent nerve compression syndromes do not involve any impingement, effacement or mass effect on the nerve at all. In some cases, even though symptoms might correlate to a particular nerve, the causative process can be oxygen deprivation of the structure, often referred to as ischemia, and may be related to a circulatory or mindbody source. Having a pinched nerve in the cervical spine, or the perception of the same without actual compression, will generally cause the following symptoms: Pain, when the syndrome begins, followed by intermittent tingling, as well as intermittent, and then lasting objective numbness and regional weakness in the area served. Remember, each and every spinal nerve root corresponds to specific bodily locations. If a specific root is affected, then the symptoms should match the area where symptoms are expressed. This is paramount to keep in mind, since proper correlation will prevent the diagnostic blunders which occur in epidemic numbers in the back and neck pain sector. It is for this reason that all suspected nerve issues should be evaluated by a qualified neurologist and confirmed via diagnostic imaging and nerve conduction studies, as well as symptomatic correlation and physical exam.